Strandberg Guitarworks is committed to innovation. We continuously strive towards new solutions that address the needs of guitarists today. The global musician community is engaged in the design process. The process is public and documented on-line. The results are licensed under Creative Commons Share-And-Share-Alike 3.0 Licensing. Strandberg Guitarworks registered name is Strandberg Guitars AB, a limited company registered in Sweden with organization number 5568889-2862. Strandberg Guitars AB is registered for VAT and F-skatt. .strandberg* is a registered trademark owned by Strandberg Guitars AB. 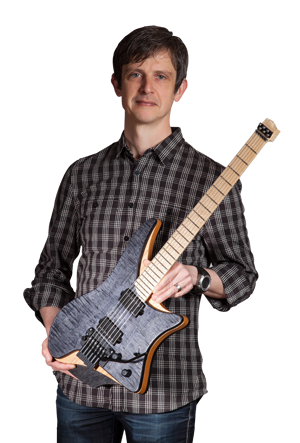 Other trademarks owned by Strandberg Guitars AB are EndurNeck, GrooveNeck, and Ergonomic Guitar System. The neck profile that EndurNeck is patented in Sweden and in the United States of America.